The city reached a deal with Jose Theater to extend the lease of the property, home to comedy club The Improv, for another 10 years. But a different item discussed at last week’s Oversight Board meeting could have a huge impact on the city’s upcoming budget. Many of the historic buildings in the downtown area were purchased, renovated and brought to life by the now defunct Redevelopment Agency(RDA). One example of this is the $13 million restoration of the Jose Theater, which currently houses The Improv comedy club. 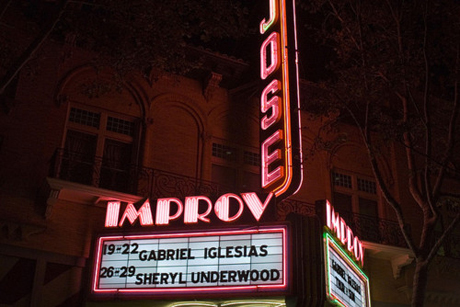 The Improv brings national comedy acts to San Jose, and with it an audience that animates the downtown district. The property was previously owned by the RDA and has now been transferred to the RDA successor agency, appropriately called the “Successor Agency Redevelopment Agency,” known by its acronym of SARA. The City Council serves as advisory to SARA, but the SARA Oversight Board must ultimately approve all actions, such as the disposition of property or allocation of funds. Since the formation of SARA, I have attended the Oversight Board meetings in order to understand what options are before us as a city, and what impact any actions taken will have on the general fund. Last week, the SARA Oversight Board, comprised of members from local tax entities as laid out by the state, approved a 10-year lease with the Improv. The terms of the lease allow SARA to charge rent and collect a portion of gross receipts on a monthly basis, and all proceeds go to pay off the debt. The county representative, who is not an elected official, stated that the city of San Jose was doing a good job in negotiating these leases, and that it was important to have this comedy club downtown as it draws more visitors to the area. I appreciated this perspective and positive feedback from the county board member. Later at the same meeting, the Oversight Board discussed the Housing Due Diligence report. During the course of review, it was revealed that $10 million had not been allocated in a clear manner. In no time at all, a strong difference of opinion surfaced on how the funds should be spent: for building a specific affordable housing project or paying down the debt. Not surprising, the housing director, Leslye Corsiglia, wanted the entire $10 million to be dedicated only to the affordable housing project. As it turns out, the housing director has been lobbying the state Department of Finance (DOF), which oversees all of the oversight boards in California, for quite some time. The objective of the lobbying is to get a favorable opinion from the DOF that would exclusively dedicate the $10 million to the affordable housing project. Such an action, with no further deliberation or input from the council, would fly in the face of flexibility, especially in situations that became available to cities when the state dissolved RDAs. Until the council has had the opportunity to weigh in on this issue, in the form of a public session, all lobbying efforts should cease immediately. The flexibility reference above allows excess affordable housing funds to cover debt payments, or, in city speak, allows these funds to be “swept in.” If the city chooses to responsibly pay down the debt, it would have the additional benefit of avoiding any further hits to the general fund, which other city departments—police, libraries, etc.—draw from to provide services to residents. This $10 million would minimize the hit to the general fund next fiscal year, which would permit us to pay down senior debt obligations and allow continued funding for other city services. As you may know, the general fund is currently covering the shortfall in SARA property tax revenue by paying the senior debt payments on the 4th Street Garage and Convention Center. Bridging this funding gap from the general fund means less money for day-to-day services such as public works, road maintenance, code enforcement, etc. In conclusion, I feel strongly that the discussion of how the $10 million is allocated should go before the council for a decision in a public meeting. After all, it was already covered once at the public Oversight Board meeting, and I do not think this issue is one that would be best addressed in a closed session. Furthermore, I disagree with the housing director’s viewpoint. It is shortsighted and untimely to advocate for an additional affordable housing project that would directly and negatively impact the general fund. Ultimately, we all have choices and responsibilities in life, and we must work within the dictates of reality. The opportunity cost of allocating $10 million to an affordable housing project that doesn’t pay property taxes means we cannot simultaneously pay down our debt in the same amount. The money simply cannot be in two places at once. By dedicating the $10 million to paying down debt obligations, it allows more funds to remain in the general fund and be directed towards vital city services.